Did you know that lighter-than-air "helium gas" used in balloons now plays a critical role in a variety of fields, including rockets, semiconductors, nuclear reactors, spacecraft and in deep sea diving? In this section we will introduce the history of helium, its uses and properties. Helium was discovered in the solar spectrum in 1868 by the British astronomer, Norman Lockyer. In 1895, William Ramsay, another British man, confirmed the existence of helium in the earth's atmosphere. Subsequently, Hamilton P. Cady, an American chemist, isolated helium from natural gas in 1905 and established the basis for today’s industrial production of helium. In 1908 Heike Kamerlingh Onnes, a Dutch physicist, opened a new era for helium by succeeding in liquefying helium, which had become known as "the last eternal gas" because no one had succeeded in liquefying it up to that point. Helium is present in the earth's atmosphere at a concentration of only 5ppm. It is currently isolated and purified from natural gas which contains 0.3% or higher levels of helium. 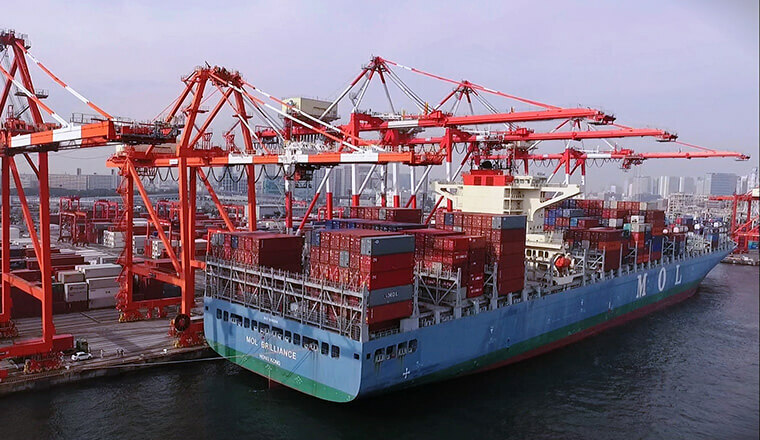 Nippon Helium is a pioneer in the business field of helium in Japan, being the first in Japan to succeed in transporting liquefied helium in special insulated tank containers over long distances by sea. Helium belongs to Group 18 of the period table, is the lightest of the rare gases (neon, argon, krypton, xenon and radon) in the same group, is completely inert and does not react with other elements. 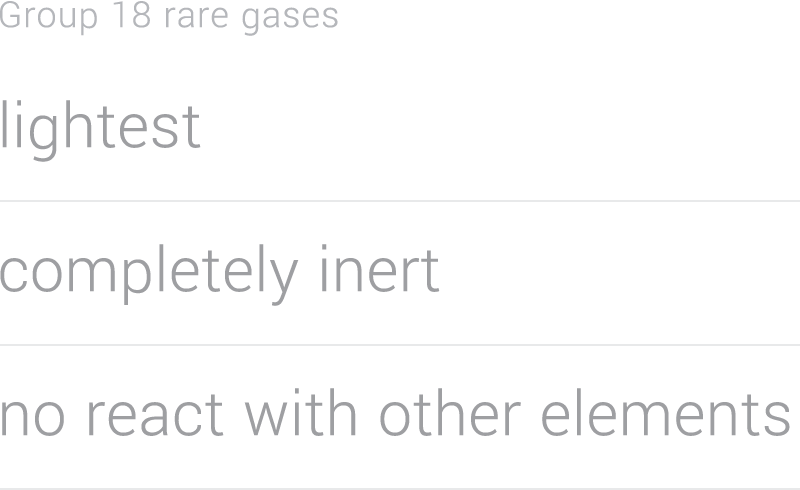 As a gas it is colorless, tasteless, odorless and non-toxic. It is about one-seventh the weight of air and virtually insoluble in water. It has a thermal conductivity of about 6 times that of air and a specific heat capacity of about 5 times. As a liquid it is colorless and transparent and is about one-eighth the weight of water. It has a boiling point of -269°C, which is the lowest among all liquids, and it has been proven to remain in liquid form at atmospheric pressure even at absolute zero (-273.15°C), at which point all other elements solidify. At such extremely low temperatures, helium exhibits the peculiar phenomena of superfluidity and metal superconductivity. Currently, research is being conducted to investigate the physical properties and industrial applications that can make use of these phenomena. Helium has two isotopes, helium-3 and helium-4, but natural helium is composed mainly of helium-4, with only about 1.3 ppm being helium-3. Therefore, it is safe to say that helium 4 is the most commonly used helium. 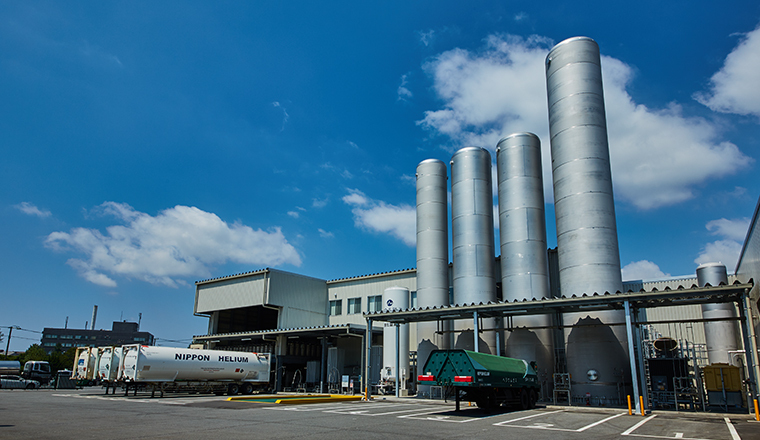 The helium produced from natural gas fields first has impurities reduced to an absolute minimum at a purifying plant, and then is transported by sea in heat insulated containers to our six helium supply bases. 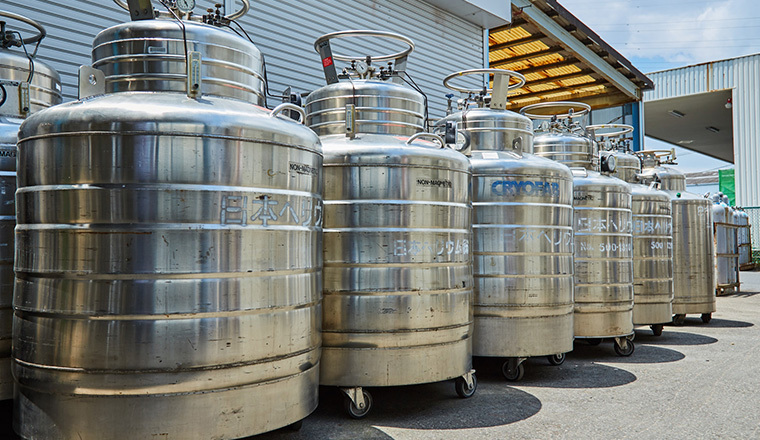 Liquefied helium is subsequently refilled into vessels or containers known as dewars and delivered to our customers. Helium gas, on the other hand, is refilled into cylinders, curdles or trailers, depending on the application, transported and supplied in a manner that meets the diverse demands of the customer. Copyright © 2017 NIPPON HELIUM INC. All rights reserved.